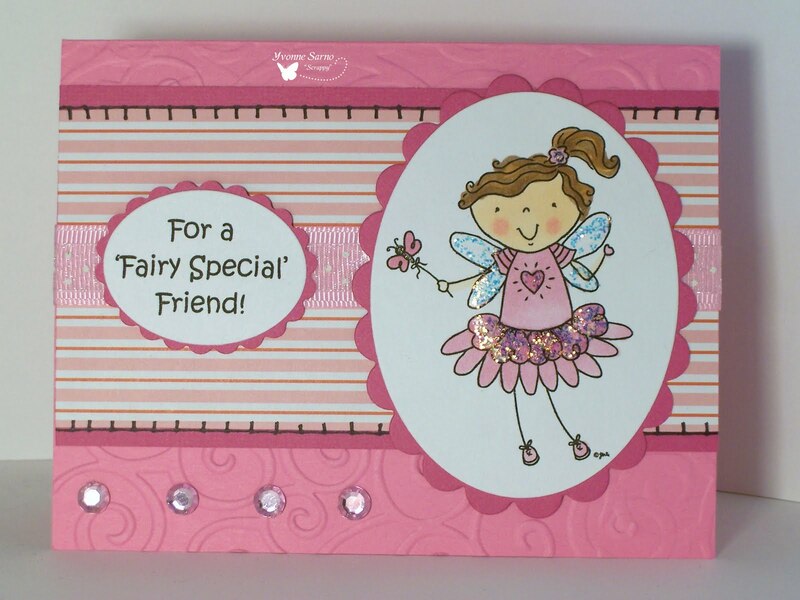 I'm back again to show off another of Designed 2 Delight's digital stamps! 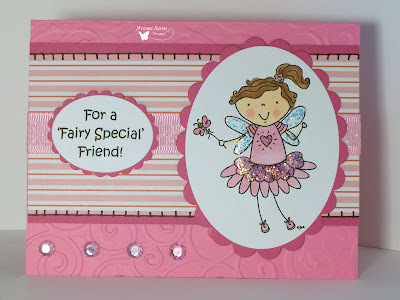 This weeks stamp set for their progressive challenge is called Flutterby Fairy! Why not head over to the D2D challenge blog to see all the other fantastic projects too? Aww this is lovely, love that lil fairy! Thanks for joining us at MMCS Challenges & hope to see you again next time! You sure are cleaning out your ribbon fabulously! I love this image with all it's glitter! Thanks for joining us at Clear It Out! fab cute and girly what more do you need! Such sweet card. Lovely image and great colours too. Thanks for playing with us over at TPS Challenges this week. Adorable card. I love how you colored the fairy. Thanks for joining us at MMCS challenges this week. Hugs! What a cute image, I love the sparkles! Thanks for joining us on Digistamps 4 Joys "It's a Celebration" Challenge.